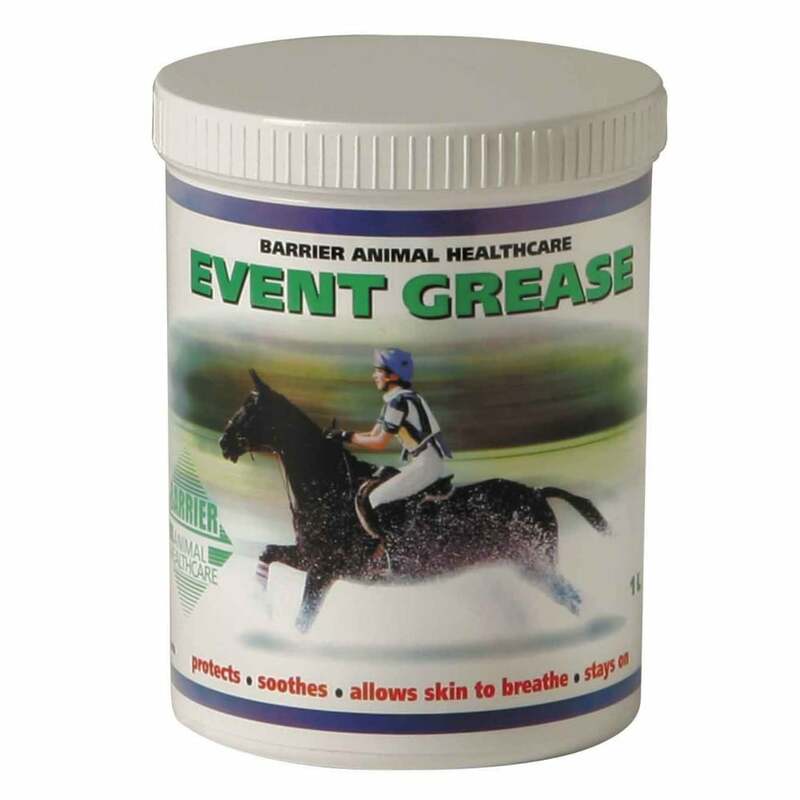 Barrier Event Grease offers protection to the legs, chest and belly as the horse skims and knocks against fences. This natural formulation contains the purest lanolin, vegetable surfactants and herbal concentrates blended together to form a tough greasy lubricant which stays on through the most demanding conditions. Most importantly it allows the skin to breathe. Barrier Event Grease also includes natural high grade essential oils known for their soothing and pain relieving qualities. They also help to disperse bruising and soothe minor cuts and grazes.